With the importance of money in fueling a run for the White House, it’s no surprise that we always seem to find ultra-high net worth candidates on the ballot. However, it’s not simply their ability to self-fund a campaign that enables the super rich to be perennial contenders for the presidency. There is another factor at play, one that reaches far beyond campaign coffers and into our psyche where we conflate wealth with skill. In this current election cycle, it’s Donald Trump who benefits from this mental mistake — the Trump Phenomenon, as it can be called. We are drawn to wealth as a means for measuring skill, a habit that existed far before Trump took to a podium and even predates the Declaration of Independence and American politics itself. Our obsession with wealth, and our inherent assumption that wealth correlates with skill, is woven deeply into the very fabric of our society. Health care, international trade, immigration, and gun rights are some of the issues through which Trump attempts to win support. And sure his proposal to build a “huge wall” between the United States and Mexico or his rhetoric about Muslims resonates with some voters. But even those avid supporters of the Republican front-runner are victims of the Trump Phenomenon, as they are attracted to him — perhaps on a subconscious level — because of his vast fortune, which they can associate with business prowess. We live in a world that values outcomes so much that we oftentimes lose sight of the role of luck. It seems incomprehensible that anyone could amass such great wealth without some degree of special ability. Nonetheless, if the more than 7 billion people on earth each flipped a coin one hundred times, probability tells us that more than a handful of people will flip heads every single time. That does not mean these people are better at coin flipping. It is quite simply the distribution along the curve — there will always be outliers. And the same is true for wealth as for coin flipping. Our engrained values tell us wealthy people are superior, but probability indicates a different phenomenon. We put so much faith in wealth, but wealth truly has nothing to do with skill. Perhaps a world where everything fits neatly in place is one where wealth indicates skill. But ours is not a neat and tidy one. We live in a world that, like democracy, is very messy. To accurately assess Trump as a candidate, we should examine his actual policy proposals, and judge him on the strength of his ideas — rather than the size of his bank account. In politics, finance, business, and life, it is important for us to clean up a little by taking away the association of wealth with skill. It is hard to imagine someone could build a fortune from luck alone. But it is true. Without the role of luck, wealth distribution in this world would look very different. And without his wealth winning him adulation, Trump is a much different candidate. 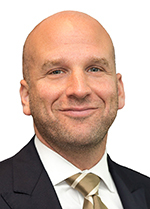 Jonathan Citrin is a Farmington Hills-based financial adviser, international speaker and author of mindfulness and finance, and frequent contributor to DBusiness.